*Feeling Lazy* Such a perfect weather for sleeping in today! The cool breeze… zzzz. Why am I up on a lazy Sunday? First thing is that usually I sleep till 10 in the morning on holidays to get rid of the tiredness. Today, I have started walking and exercise sessions early morning. I have turned into a fitness freak from couch potato. I have gained more weight and I need to lose a few extra pounds quickly. I am on a strict diet too. I just discovered that walking and jogging is fun too. I recently stumbled upon Mont Bleu, a company that has a wide variety of personal care accessories and glassware. The most popular item is their Czech glass nail files. I never heard of Mont Bleu before, so I had to check what their products are. They offer Luxury crystal glass nail files, jewellery, bijoux, beauty accessories, gifts and souvenirs. I had a chit chat with the executive and when I let them know that I am a blogger from India, they offered me to send some products for review. I was offered to pick my own products from their range, but to be completely honest, I was confused. I might ask their entire store since everything is cute. I let them pick the products for me. Let me say how excited I am to have had the opportunity! The people I dealt with were super nice, and the quality of the items couldn’t be better! The people didn’t need a reminder and the products reached on the second day from Czech. That was least expected, surprising and super quick. I have some goodies from Mont Bleu to share with you today! The Mont Bleu company, one of the world’s top suppliers of crystal glass nail files. 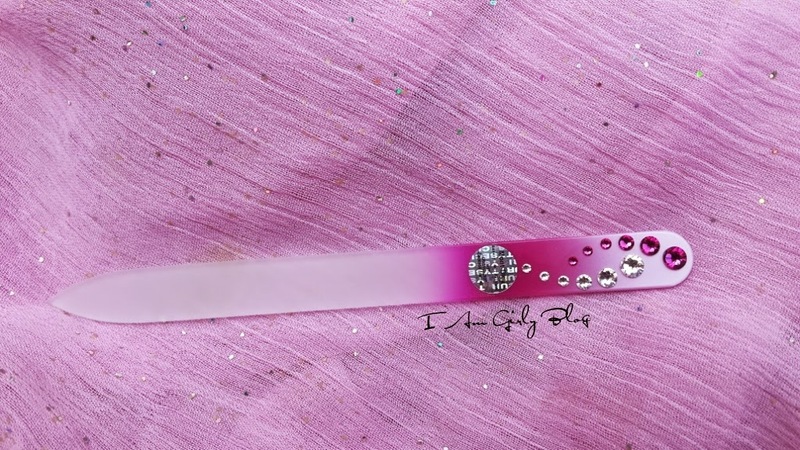 Made in our factory based in Czech Republic, our crystal glass nail files bring affordable luxury of using perfect nail care tool every day, without need to buy another one. Build on decoration only for crystal glass nail files, Mont Bleu decided to expand to other fields of everyday luxury and beauty. 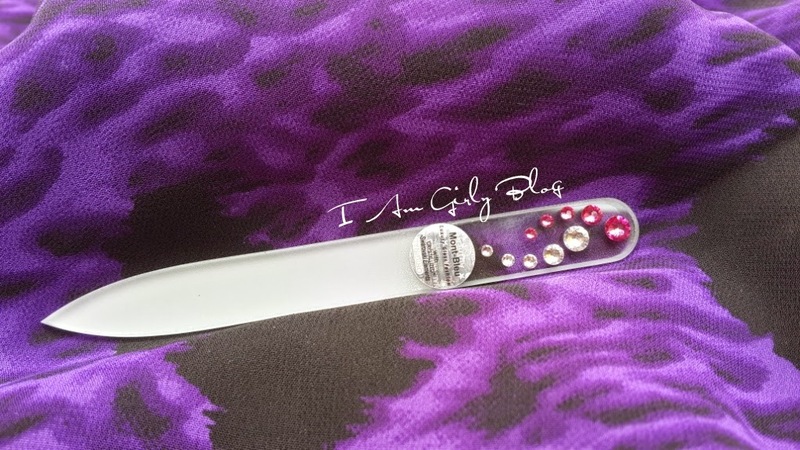 Crystal glass nail files, jewellery, bijoux, beauty tools, gifts and souvenirs hand decorated with Swarovski crystals (CRYSTALLIZED™ – Swarovski Elements). Mont Bleu is a top seller of class beauty tools, including Tweezers, Scissors, Hair Brushes, and Compact Mirror and Dazzling jewellery for those who like Earrings, Rings, Bracelets and Pendants. 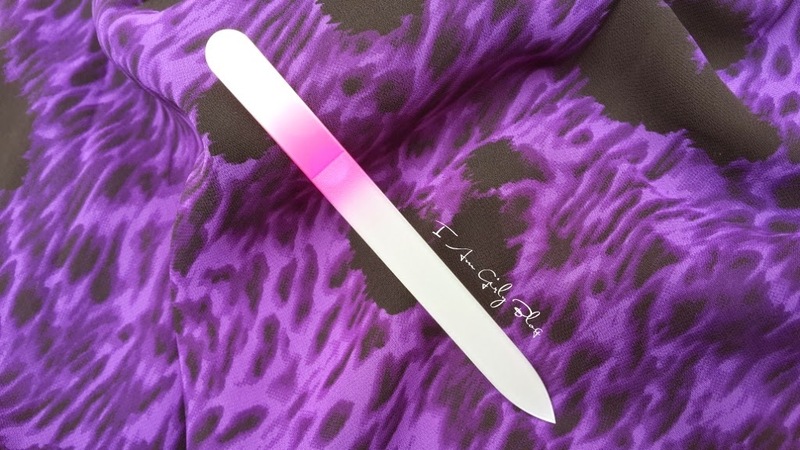 One glass nail file from”Mini” or Travel line- It’s made of tempered Czech glass/crystal. It is cute and little. The non-filing end has a smoother finish than the filing end. There is a lifetime warranty against “abrasive surfaces” on these pretties! Because it’s so tiny I have tucked it into my handbag. The small nail file is sized 3.54in/ 90mm. 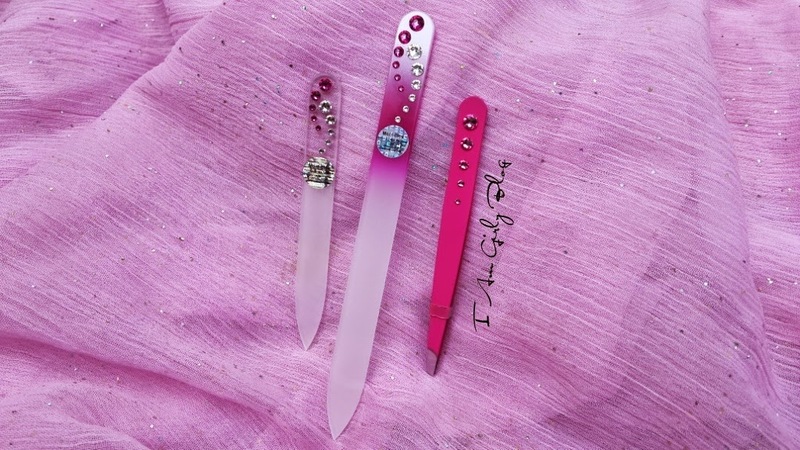 A pair of stainless steel, Swarovski Crystal Embellished tweezers – Sharply angled, thin. Made from stainless steel with slant tip decorated with Swarovski crystals. Ideally adjusted tips are specially slanted so you can grab even very fine hair, each time meticulously precisely. I love anything pink and I am already in love with this tweezer. I haven’t tried Tweezer Man and hence this has won me over it. Mont Bleu Glass Nail Files – Regular Size – This is better than my regular traditional nail files. I never paid attention to my nails and never did a Manicure till I received this. The old nail file was too boring and I am happy to receive something snazzy. The medium nail file is sized 5.32in/ 135mm. Multipurpose – Manicure, pedicure, callus removing, pet manicure, gift. I think they’re absolutely gorgeous! What a combination of beauty and function. These are so chic and girly just like me and my blog. They have the bling to brighten up any dull day! I simply adore these babies. The products included a shot of the security holo sticker, which guarantees the authenticity of the product as Czech glass/crystal and the use of the Swarovski element crystals. So, if you’re looking for a glass nail file or rhinestone-encrusted goodies, take a few minutes to browse through the Mont Bleu website. You just might find the product of your dreams there! I so badly want their compact mirror, pen and earring. Someone please gift it to me for Christmas! The nail file I showed you retails for 10 € and the tweezers for 12 €. They ship internationally. Vedantika Herbals Instant Glow Mask Review!